Looking for the best free zombie games for iPhone in 2015? Here is our selection of the top free iPhone games in the category of zombie. We continue our journey through the best games and apps for iPhone and iPad. Among the many categories available on the App Store, today we decided to talk about the game of undead. Before starting we encourage you to use comments in the bottom of the page to let us know your views and eventually indicate the titles that you feel worthy of being reported and that are not present in the article. Gun Zombie Hellgate is one of the most popular zombie games for iPhone with 3D graphics, fun and simple to play. This is a First Person Shooter (FPS) game where you will face the hordes of zombies and have to shoot to kill as much as possible. The graphics are very accurate and very horror, the game has no history and has no strategy, just a shooter continuously divided into levels. You can play 500 missions, 60 bosses, and 3 different modes. Upgrade your weapons and use the elements of the game. Dead Trigger 2 is the sequel to the most popular 3D shooter game focused on the zombie. The zombies are more powerful and bloodthirsty in the game Dead Trigger 2, where you will try to survive the attacks of these beings and get to win the final battle of survival in this free action packed game. Plants VS Zombies is a mix between tower defense and zombie, the result makes is one of the best games ever in App Store. You command an army made of plants of all kinds, and you must defend your house (or other location) from a horde of zombies hungry for brains. The second version of the game presents new environments, the Ancient Egypt, the World of Pirates, and the Wild West, which are the framework for unusual plants from the original names. The game has more improved graphics, soundtrack and gameplay. Must-play. 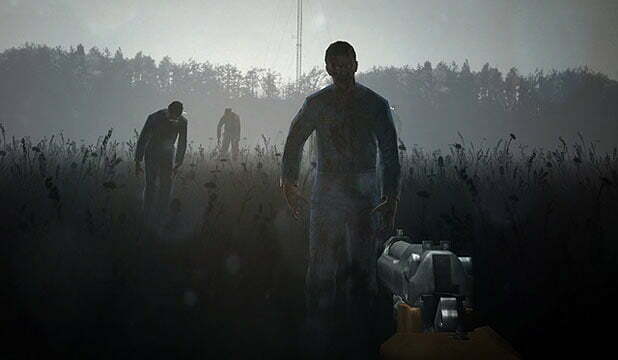 Into the Dead allows you to evolve in an apocalyptic world, trapped and surrounded by zombies. You’ll have to take your legs to your neck to avoid and to go as far as possible. Armed with grenades, pistols, and machine guns, you have to save your ammo in order to survive! Dead Effect is a powerful zombie game for iOS where Zombies are really scary. This is a shooter game with graphics from the console that makes it really well on tablet and smartphone. Top games selection: Best Horror Games For iPhone And iPad. Contract Killer Zombies is a superb shooter with a story of survival in a world overrun by zombies. In addition to killing the zombies, you’ll have to complete food-raising missions for survivors in a remarkable graphical environment. Destroy a powerful army of zombies in a breathtaking 3D shooting game. You are the law and must protect Mega-City One from the horde of zombies. Mega-City One is being invaded and you are called to be a superhero to avoid the zombie apocalypse. Addictive, fun, multi-platform … for free. What are your best zombie games on iOS? You know other games that deserve their place in the top 10? Feel free to give us your opinion in the comments. The future has many names. For the weak it is unattainable. To the fearful it is unknown. For the brave, it is opportunity. © Copyright © 2018 Getandroidstuff Media.